The poori is one of the popular dish across India, served in every thali. 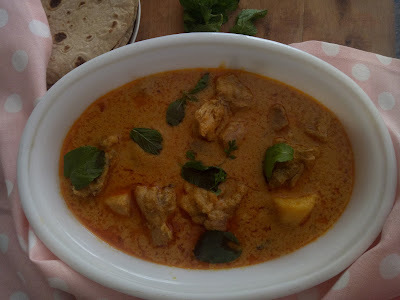 It is best eaten with aam ras, shrikhand, chole and aloo bhaji. Its easier to stir up pooris instead of rotis. Deep frying is easier than sweltering over a roti to make sure every corner is cooked and not left raw. A poori, just has to be added to hot oil, upturned and it's cooked. This indian bread is very easy to make, very delicious and addictive. On cooking the aroma is totally enchanting. Even the neighbours come to know that pooris are being fried, making them curious to know if it's for a special occasion. 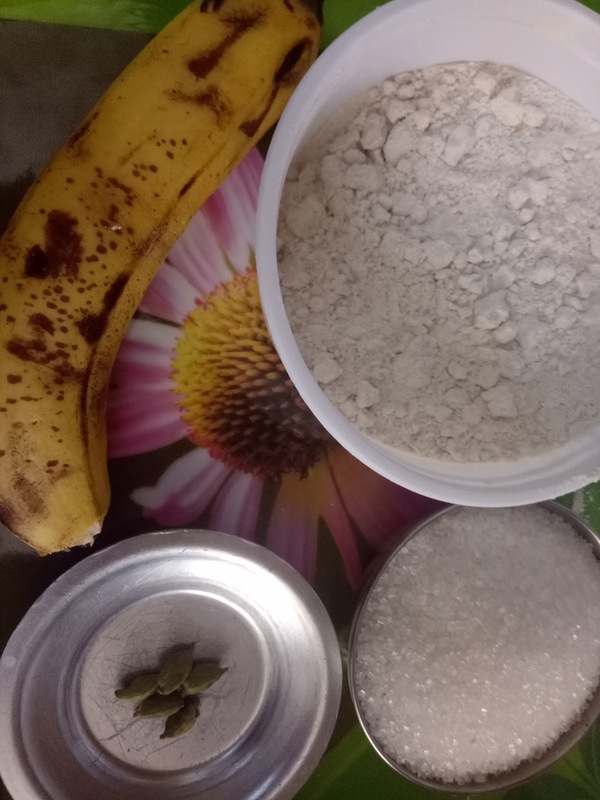 Mix flour, salt, sugar, salt and Cardamon powder in a mixing bowl. 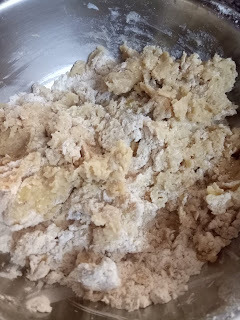 Add the mashed banana, ghee, vanilla extract and mix together. Knead well with a little water. This will make a firm but sticky dough. Set aside for one hour minimum. Grease your hands with a little bit of oil. Pinch of roti - size dough pieces. 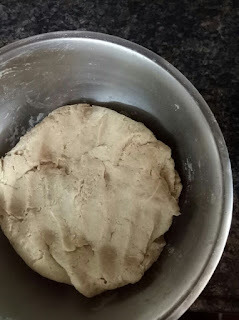 Use a rolling pin to roll dough out into a big roti on an oiled surface. 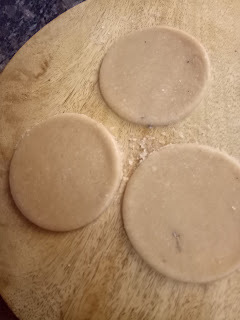 Use a round cutter or katori to get perfect round shaped pooris. 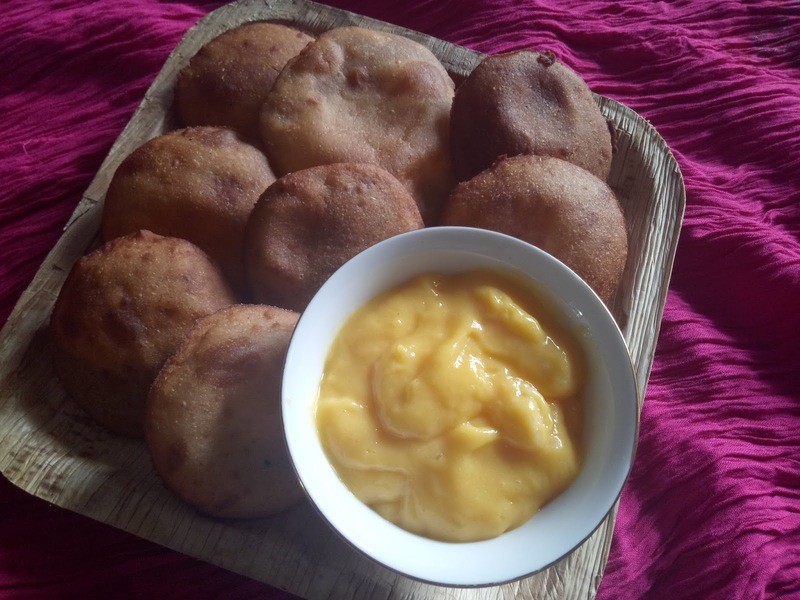 Add pooris to heated cooking oil. 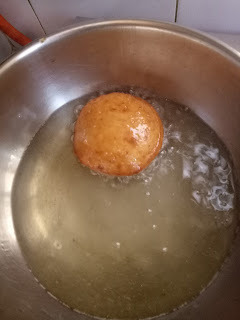 Deep-fry until golden brown on both sides. See them beautifully fluff up. Now remove them from oil and drain on paper towels. 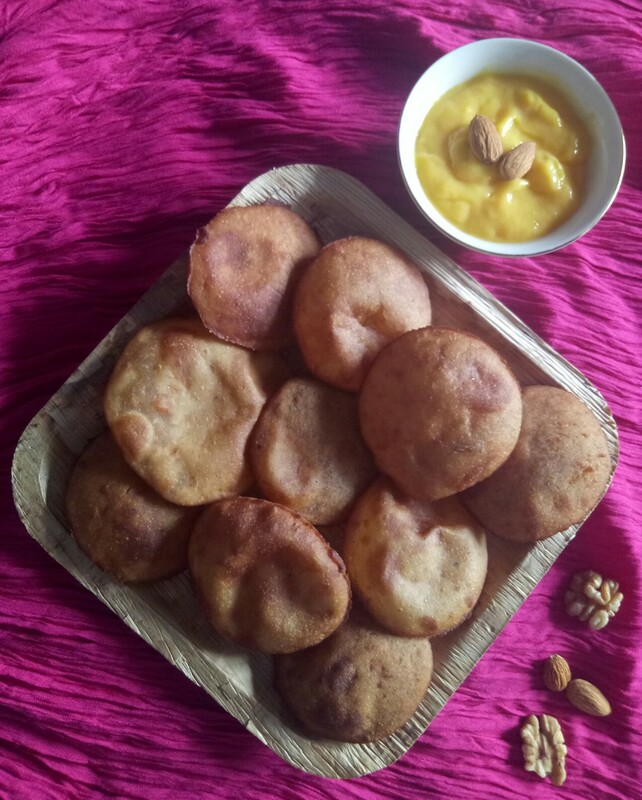 Serve up those hot and crispy pooris with aamras inithe mango season or then serve them steaming hot at tea time. it’ll be wonderful in both cases. Happy Food filled Sunday to you all. 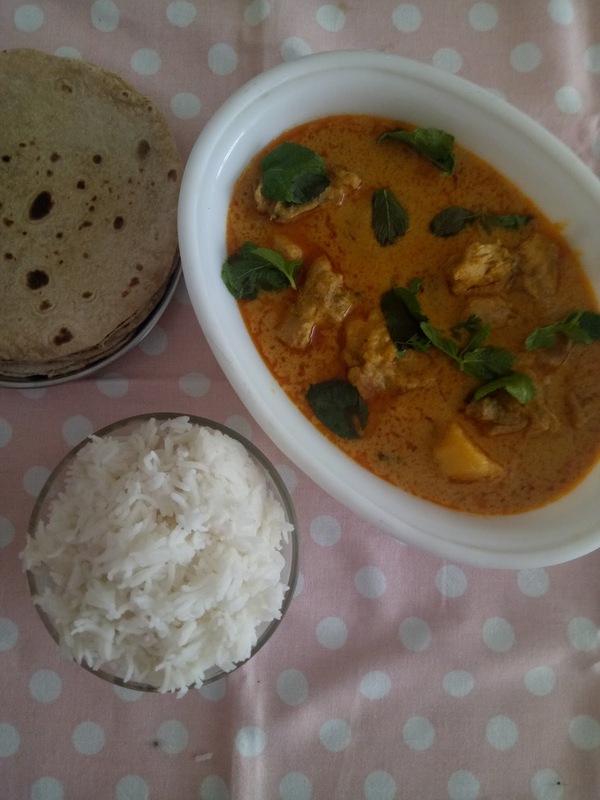 Just today morning I was searching for a chicken curry recipe that would be quick and easy yet tasty. Wanted to slurp it up with rice and then have a good afternoon siesta post lunch I wanted to make it thick, less spicy and oily. Hmmm.... Was that asking for too much in one dish?? No way!! Easy peasy!! Finally Sujata and myself both racked our brains and decided to use peanuts in the gravy with a whole lot of other ingredients. The end result was this. 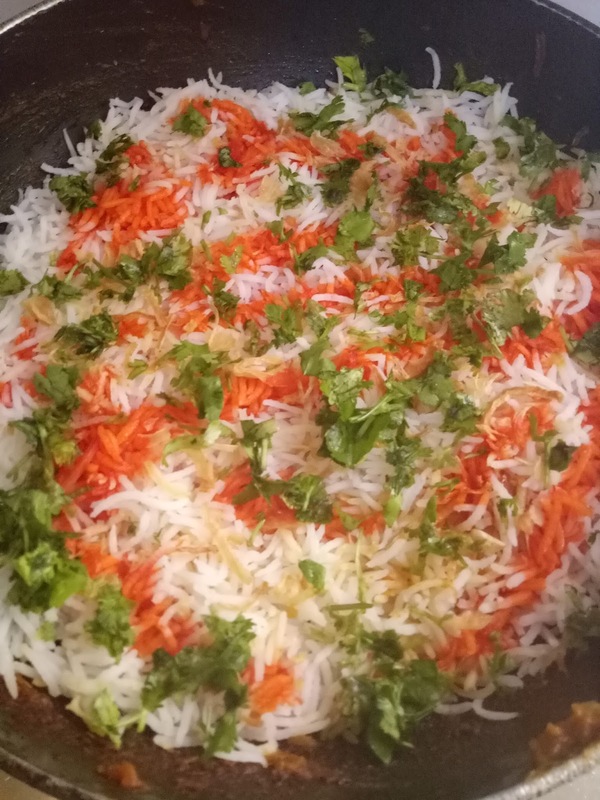 The dish that I made is to be enjoyed with rice, naan or roti. And I was very happy with the distinct flavor of peanut in the curry. The gravy turned out just the way I planned it. So now check out my peanut chicken curry. 1. First wash the chicken well and then add some turmeric powder to it, keep this aside. 2. Peel the onion and chop it into small pieces. Now the easy part. 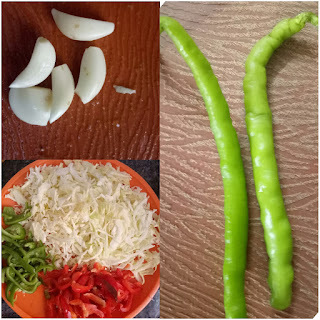 In a blender, add chopped onions and green chilies. 3. In a dry grinder blend the peanuts to make a smooth paste. Add little water if you wish. 4. Take a pressure cooker, add oil and curry leaves, let it splutter. 5. Now add the onion paste, ginger garlic paste and mix well. 6. Add the peanut powder and roast it for 2-3 minutes. 7. Now add the chicken, cut potato, grated tomatoes, dry spices and salt. Stir it well and let it not burn at the bottom. 8. Add 1/2 cup of water, mix well, close the pressure cooker with lid and cook it for 3 whistle. 9. Open the lid and keep back on medium flame. Add the curd/ cream mixture and let gravy thicken for two minutes. 10. Serve it piping hot with rice or roti. 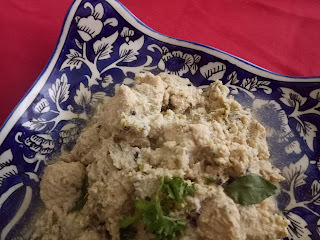 I loved the flavour of peanuts in this dish and of course a Bawa needs potatoes too in every dish. You can avoid it if you dont want the aloos. According to dietary guidelines, we all should consume between 5 and 13 servings of fruits and vegetables every day. But do we actually achieve this? Cooking vegetables in the same way can be very unappetizing to the palate. 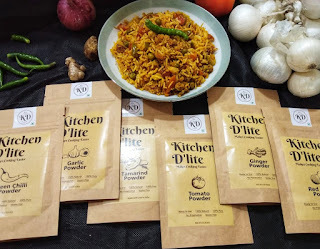 I try a different approach while cooking Vegetables with combinations of spices to enhance the taste. 1. 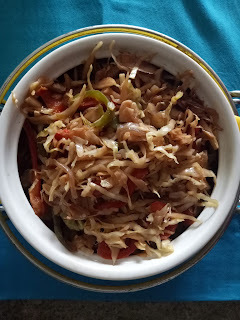 Finely slice the cabbage, bell peppers, onion and garlic too. 2. Heat 2 tsp oil in a wok over medium heat. Add the chopped garlic and onion. Stir frequently. 4. Add the soya sauce, chilli sauce, pepper powder, cover and cook for 8-10 minutes stirring occasionally. 5. It is optional to add some sugar to enhance the taste. 6. 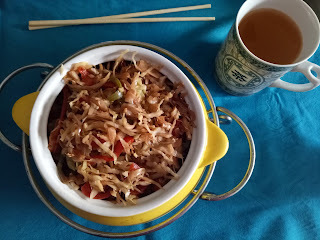 Have it piping hot with roti or soup style noodles. Hope you all are doing well and eating healthy. 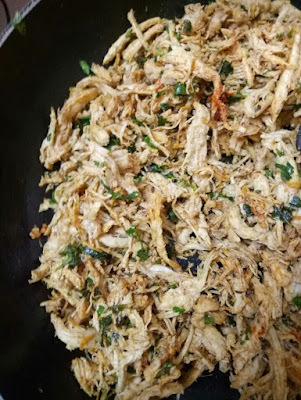 I had been out of town for a few days and missed to post my recipes for a few days. Was traveling to the land of Rishikesh- a holi city where the Ganges flows. This holy city is vegetarian by law, and meat and alcohol are not legal here. 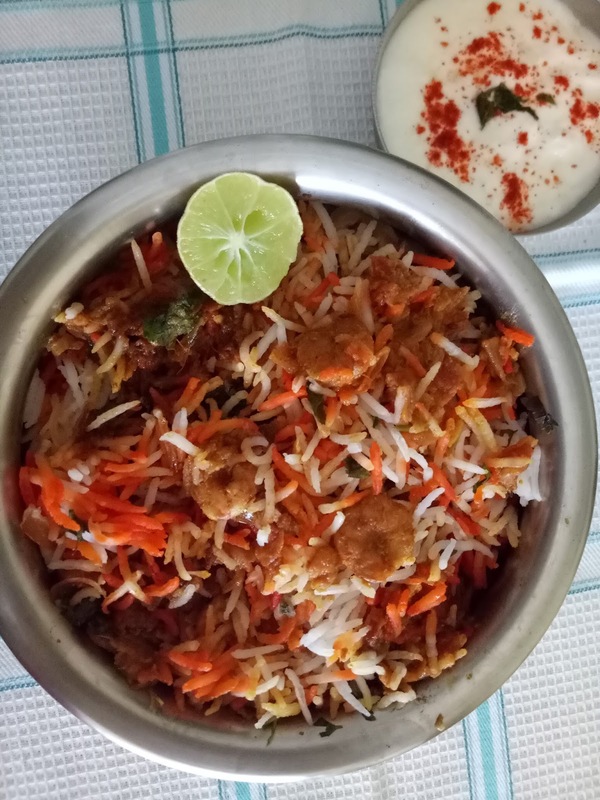 On returning I was craving some finger licking spicy prawn biryani. So decided to wait no further and cook some today. 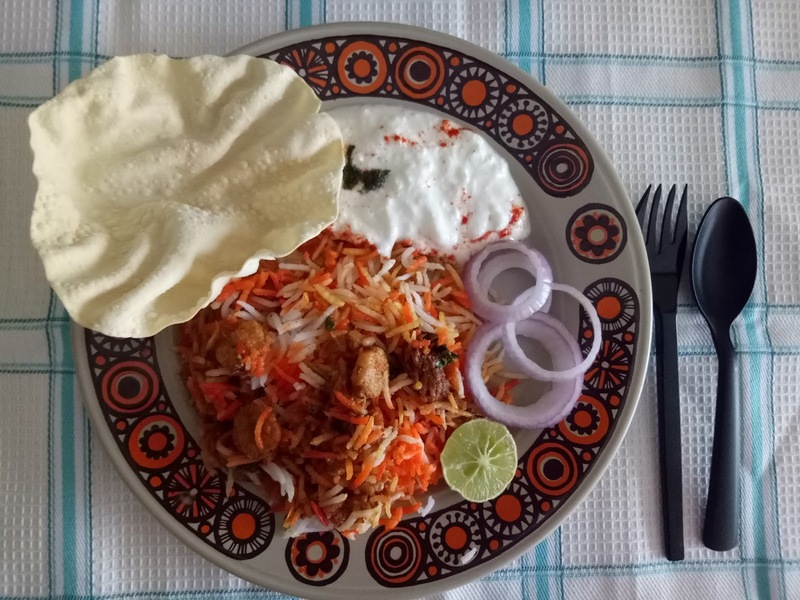 Biryani is prepared using aromatic long grained Basmati Rice. Along with lots of Spices, curry powders, fresh herbs, oil is also generously in this preparation. And topping with saffron makes the dish exquisite. But I have tried to cut down on oil but not compromising on spicy taste. 1. Clean, peel and devein prawns. 2. Add salt and turmeric to the prawns and keep aside for some time. 1. Wash and soak rice for 30 minutes and drain the water completely. 2. Parboil the rice with whole garam masala, drain and keep aside. 3. Warm milk in a small bowl and mix the saffron strands, allow it to stand for 2 minutes. 1. Heat half the ghee in a pan, add fried onions ginger garlic paste, tomatoes, other dry spices and roast it well. Cook for 2 minutes until it turns mushy. 2. 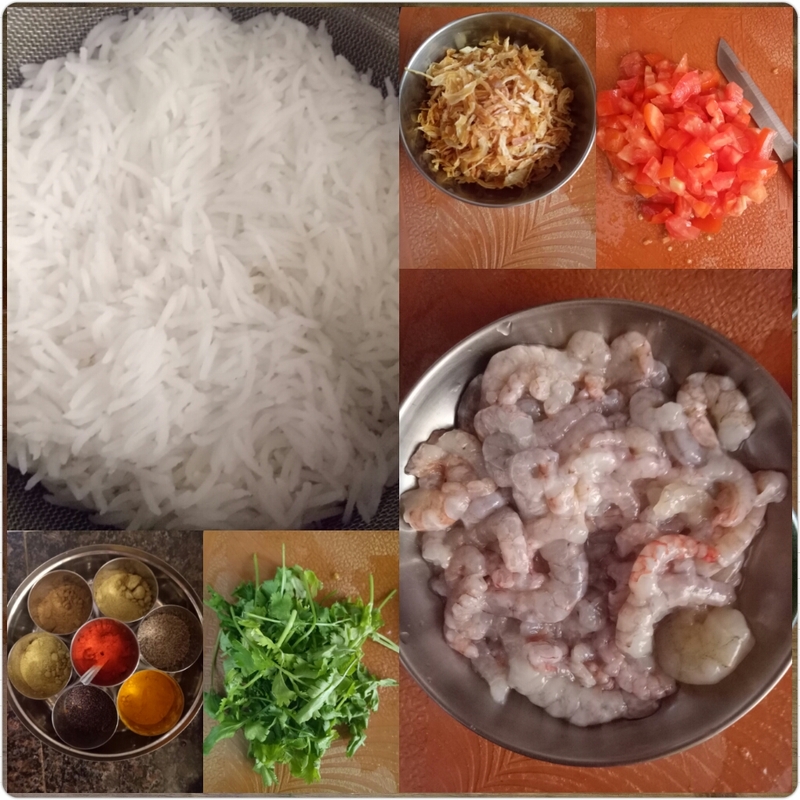 Now add the prawns and curd and cook till the masala is thick and prawns are cooked. 1. In a heavy bottom pan, add half the prawn mixture. 2. Now add half the cooked rice and flatten it a bit over the prawn mixture. 3. 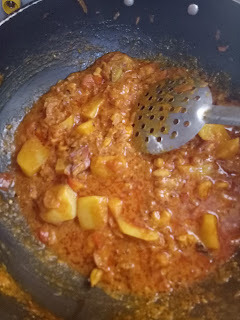 The remaining half mixture has to be added to this and rice again over it. 4. Add the saffron milk mixture on the top. 5. Spread some ghee over it. 6. Garnish with corriander leaves, mint leaves and fried onions. 7. Now cover with a heavy lid and cook for 5-7 minutes on dum. 8. Biryani is now ready to be served. 9. Serve it piping hot with papad, pickle and raita. When the summer arrives, it simply kills your appetite. 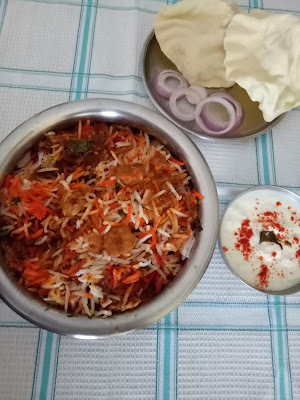 You just cannot eat a heavy spicy meal especially at night. Sometimes I just make a light chicken salad or soup. 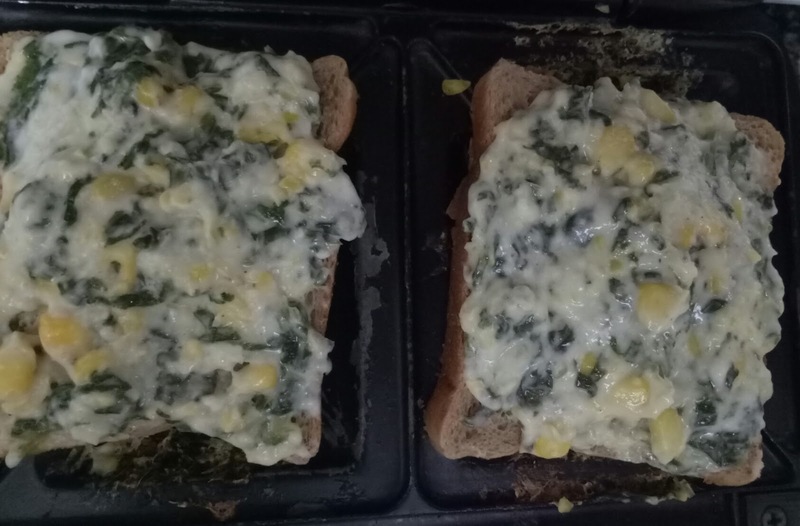 But this time round I decided to try out a yummy sandwich recipe - Corn Spinach Cheese Toast, an excellent snack that can be enjoyed at meal time, especially in front of the TV during the IPL season. 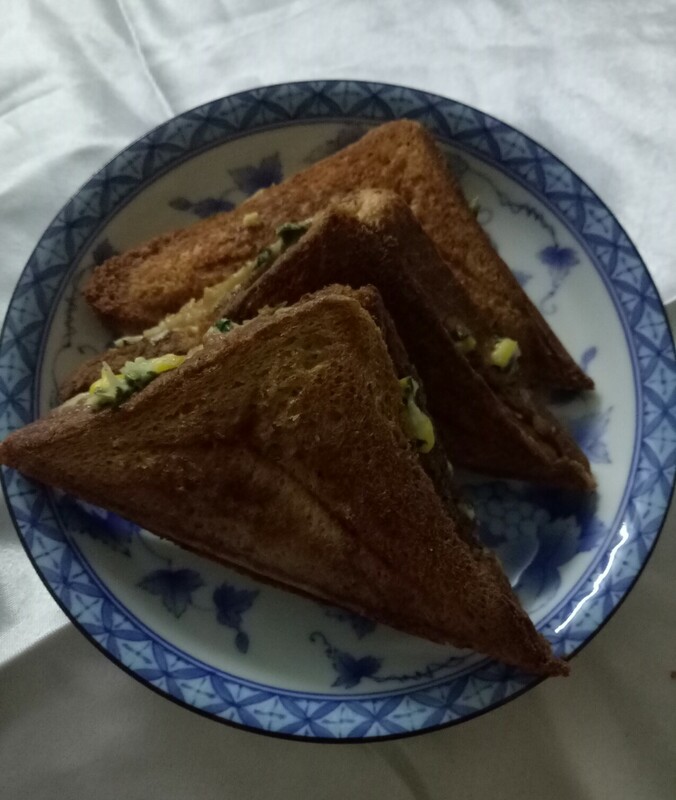 Toast after toast, it can be relished with sauce or chutney. 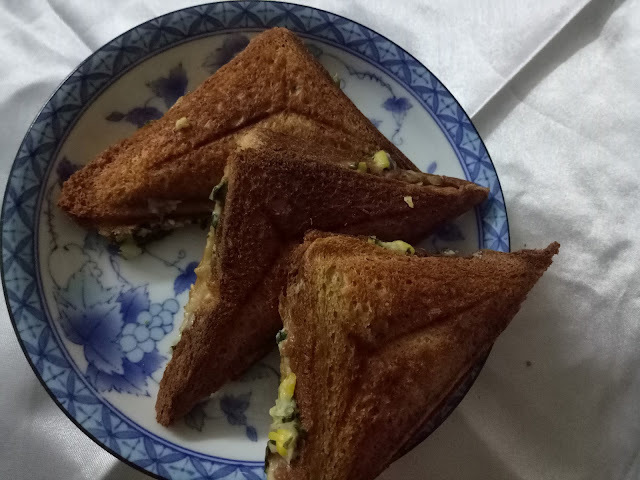 You can make these in an electric sandwich maker or a regular toaster on the gas. This is a win-win recipe and makes a great tiffin treat for kids too. 1.Boil the corn in a saucepan, keep aside and let it cool. 2. Blanch the spinach leaves in water. Drain it, chop and keep aside. 3. 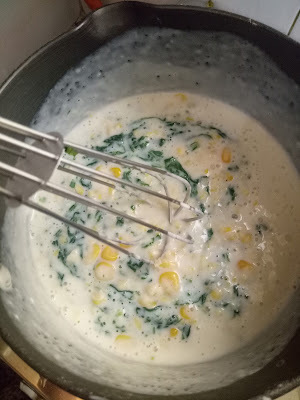 Now strain the corn and blend it for a short time in the mixer. Let it be coarse. Do not over grind it to make a paste. 4. Heat butter, add milk and cornflour to make a white sauce. 5. Now add the corn, spinach and cook for two minutes. 6. Add grated cheese, chilli flakes salt and pepper. 7.Take spinach and corn mixture spread it on bread slice, cover it with another bread slice. 8. Close the toaster and let it brown. 9. Remove it and butter it on both sides. 10. Serve this with favorite sauce or chutney. Enjoy it piping hot. Do not add corriander to this dish. It will spoil the taste. This recipe can be revised as an open toast too, if you don't want to make it too bready. Grill it with more grated cheese to make it like an open pizza toast. 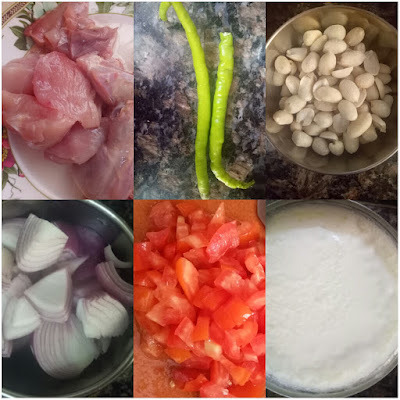 Everyone is looking for simple recipes to save on cooking time. Isnt it? Who likes to toil and work in the kitchen for hours, sweating over the stove. I guess nobody. 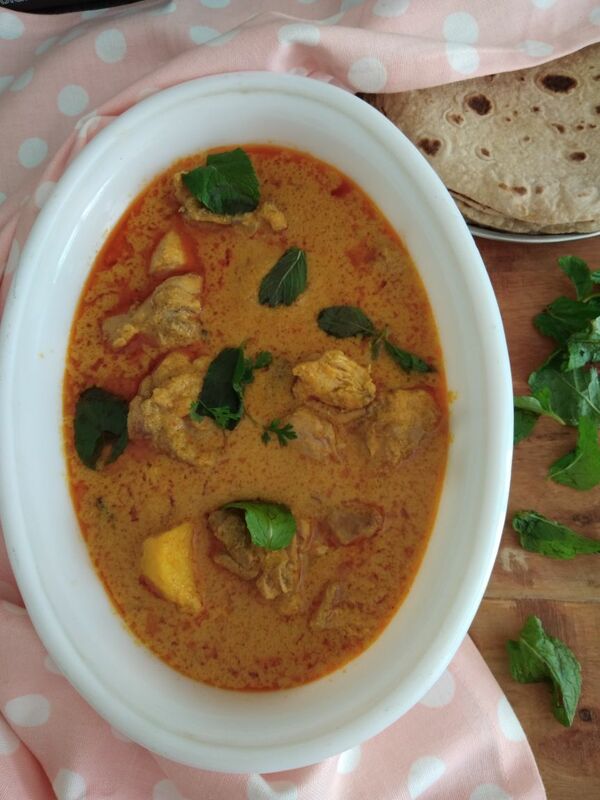 This chicken korma recipe is quick and easy - a thick gravy recipe that is light in spices with a perfect south Indian touch. 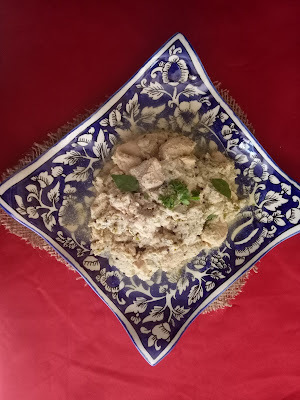 The thick rich white chicken curry has an exotic Indian flavour with cashews, cream and curds. Check out the ingredients below. Dry grind the onion, coconut, cashew nuts and green chillies in a mixer. 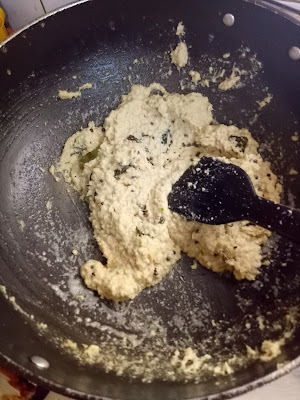 Next heat oil in kadai, add the mustard seeds and curry leaves till it splutters. Now add the ground masala and roast well. 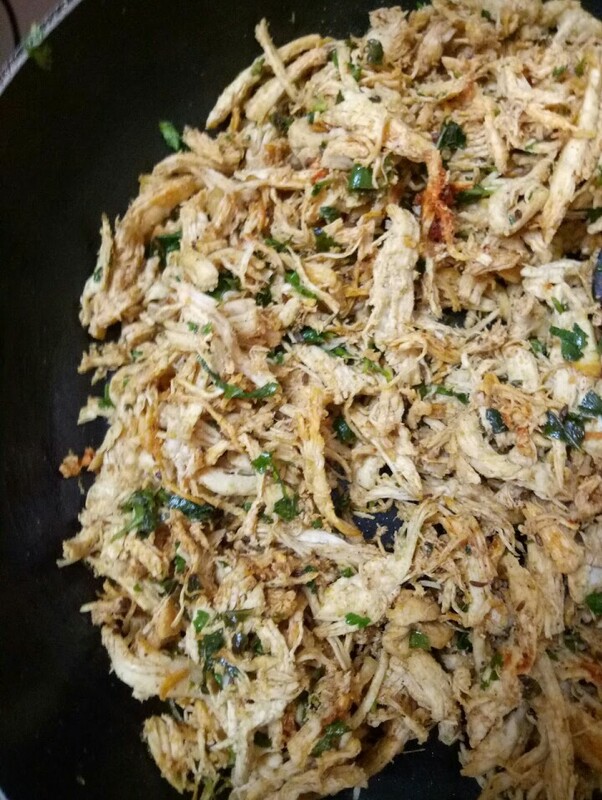 Add chicken and ginger garlic paste, fry on high heat for 3-4 minutes. 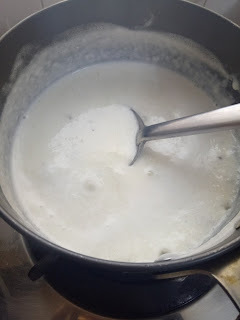 Make a mixture of the curd and cream. Add this to the cooked chicken and cook till the gravy thickens. Now serve this dish with roti, salad and see your family relish with pride. When it comes to choosing desserts of the dessert counter, no one in my family is a big fan of indian desserts, they rather pick up a tiramisu, mousse or brownie with ice cream. However it's me who ends up tasting the malpuas, besan laddoos and halwas. This week I tried to make an easy Indian sweet for my family. 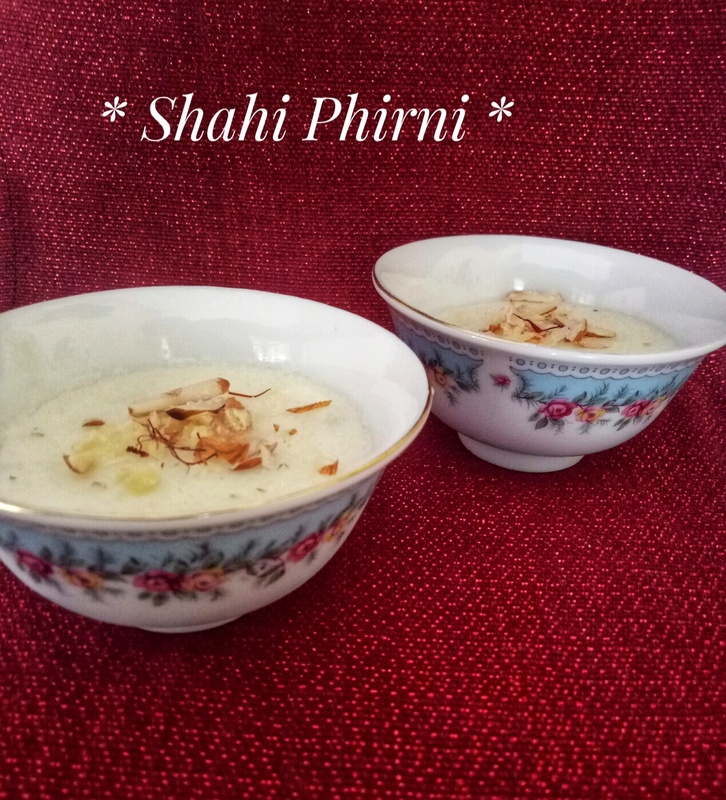 Nothing more easier than Phirni. And guess what!! They actually relished it. 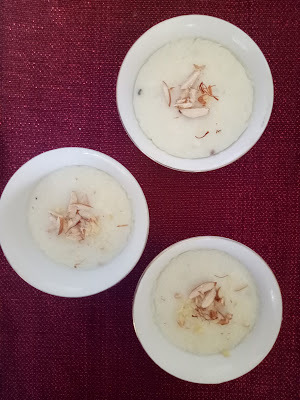 Phirni is a special indian sweet pudding that is a must in north India on festive occasions or special celebrations like diwali or Karwa Chauth. Its very simple to prepare and delicious when had chilled. 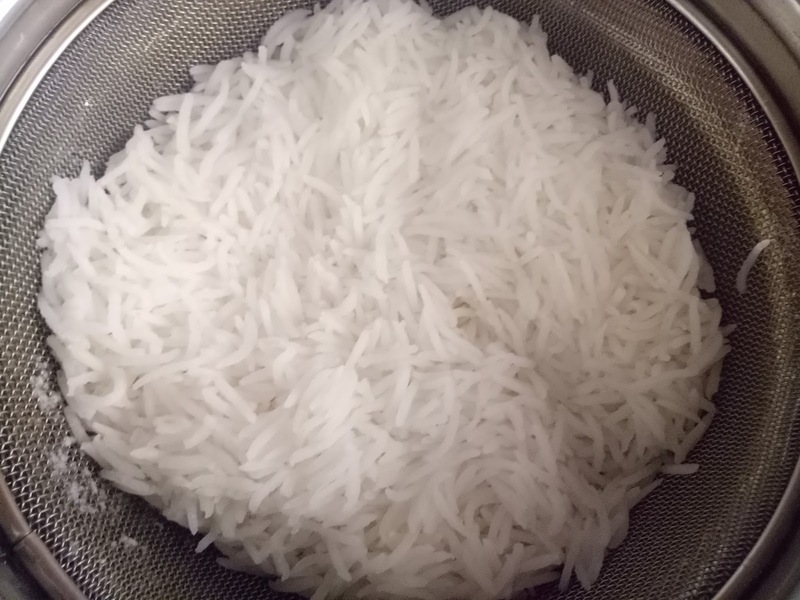 First wash and soak the basmati rice in water and cook it the way you will make regular white rice without adding any salt. Roast the almonds slivers and cashew nuts lightly and keep them aside. 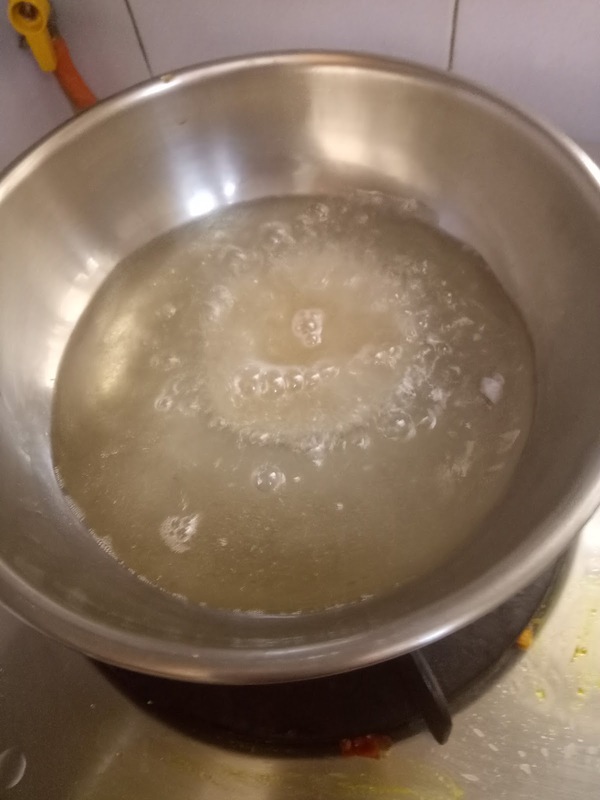 Take a heavy bottom pan, add milk, sugar, condensed milk and give it a boil. 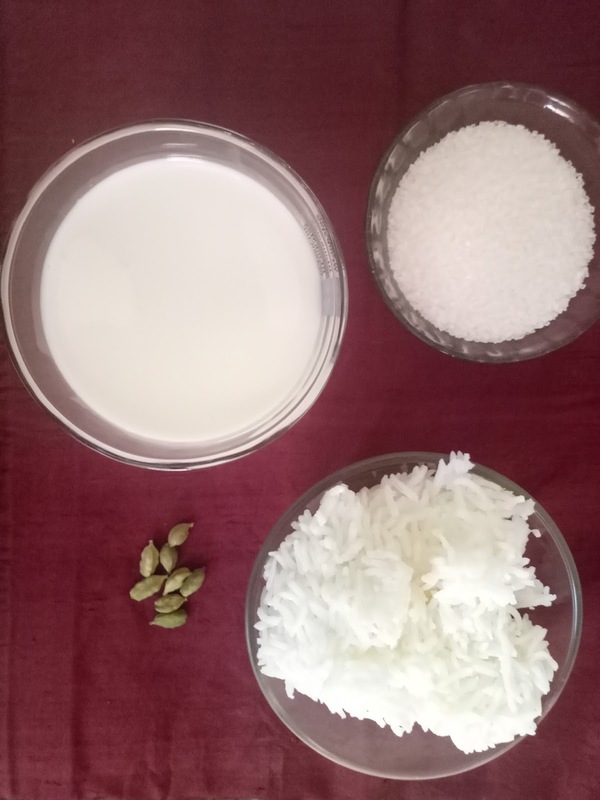 Blend the rice in a mixer with a little milk. NOW add this paste to the boiling milk and wait for the mixtimi to thicken. Add powdered Cardamom and saffron to the mixture. 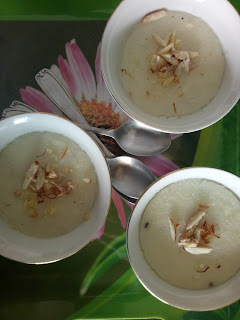 Once the Phirni is thick enough garnish it with fried and chopped nuts before serving. 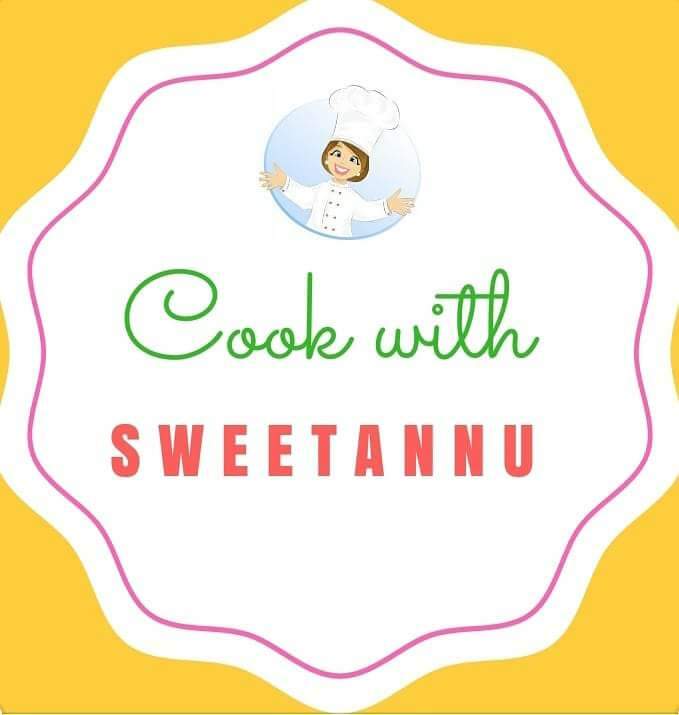 This was a recipe which was created for Sweetannu Snippets, but for some reason couldn't publish. 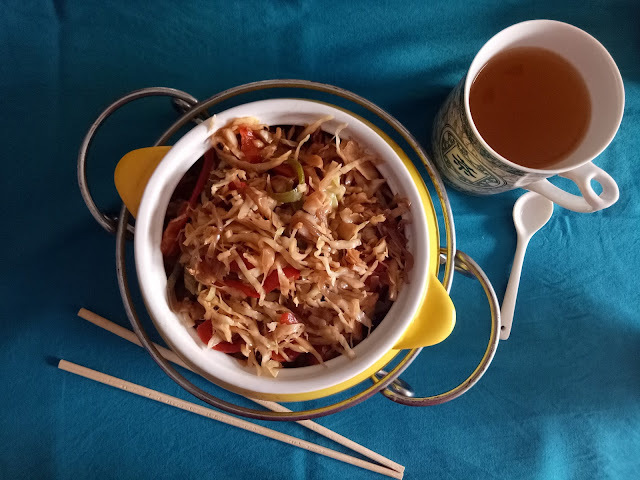 So here is the yummy easy recipe. Every person can make this, even if you cannot roll out round chappatis, I will share some tricks to acheive it. 1. Knead the dough using the flour, oil, salt and warm water. 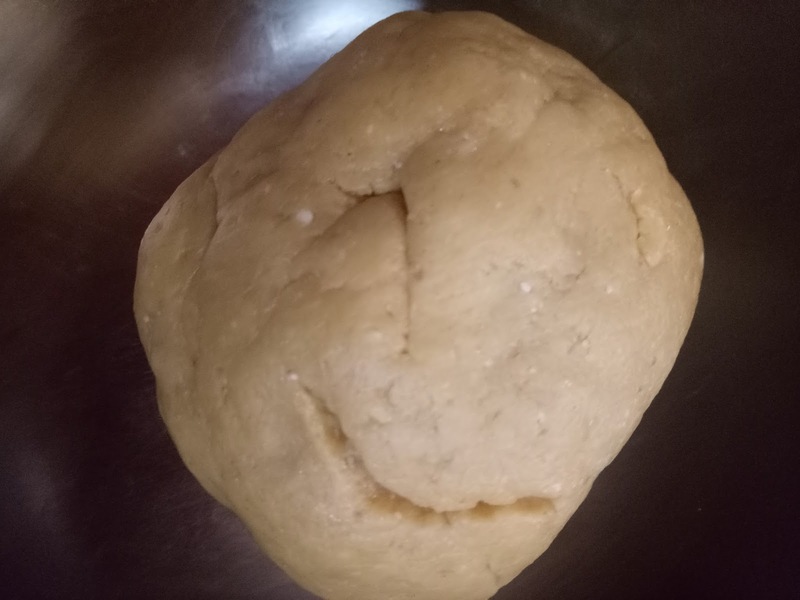 The dough should be soft. Divide dough into eight equal parts. Roll lightly with your palm to form spherical shape and keep aside. 3. Now add the chilli Powder, turmeric powder and garam masala powder and mix well. 4. Add a little water, cover and cook till its dry. Now add chaat masala once gas is switched off. Keep this filling ready as you need it now. 5. Take one dough ball and roll it using rolling pin till you get a circular shape. 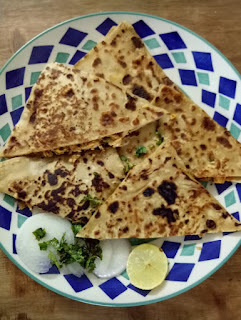 If it is not circular, use a plate, place on the roti and cut around it. Make two rotis and keep aside. 6. Take one of the rolled circles on a flat surface. Place a portion of the filling and spread evenly. 7. Cover with the other rolled dough circle and seal the edges gently. 8. Heat frying pan, place the chicken paratha on the pan. 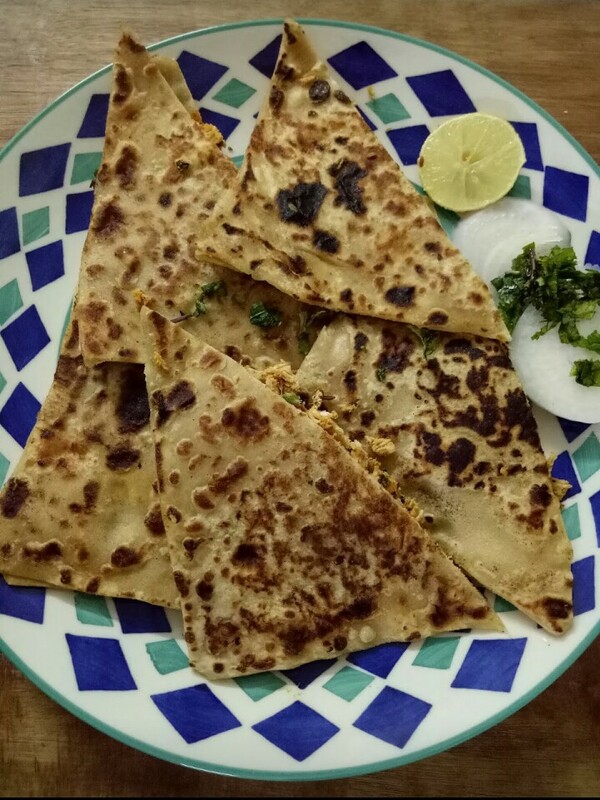 Cook the paratha on a low flame till both sides are cooked adding a little oil for frying. Repeat the process with the remaining dough and filling. 9. 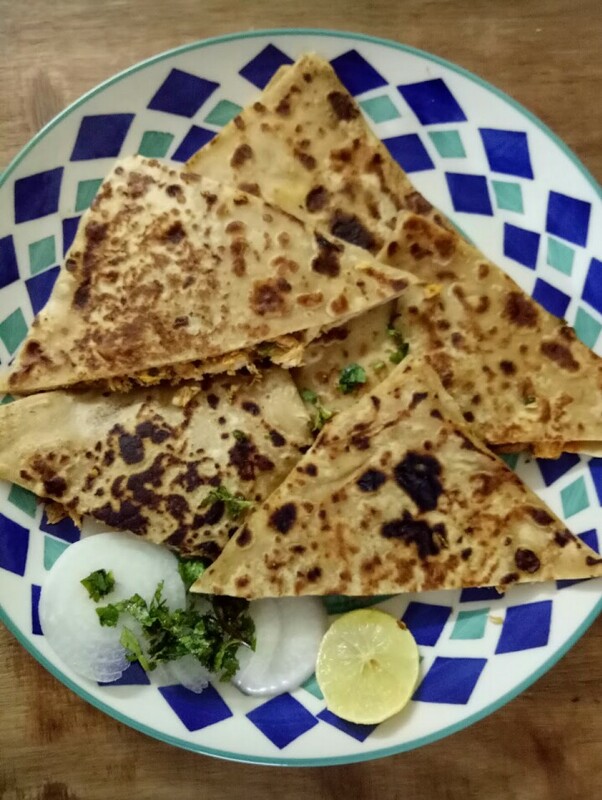 Once cooked on both sides, cut it into wedges and serve hot- plain or with tomato sauce, chutney or curd. Repeat the process with the remaining dough and filling.